Computer Education Institute, Inc. or CEI is a full service computer training organization specializing in hands-on learning. Growing for more than 26 years, CEI is the largest training center in Northwest Indiana. Through a staff of 12, 2 on-site classrooms and 2 off-site classrooms we have trained over 95,000 students. CEI is a Microsoft Office Specialist testing site. Our Mission statement is to provide a quality product/service that exceeds the expectations of our students, no exceptions. We teach a range of classes that start with the very basic computer user and extends to the very advanced student. 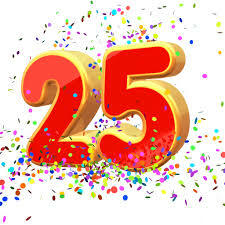 CAN YOU BELIEVE IT, CEI HAS BEEN IN BUSINESS FOR 25+ YEARS. WE WANT TO THANK ALL OF OUR WONDERFUL CLIENTS, IT HAS BEEN A PLEASURE TEACHING YOU!